Are you bookending your online course effectively and piquing the interest of your target audience? In this article, I’ll share 8 creative ways to jazz up your eLearning course summaries and recaps. eLearning course summaries and recaps are essential elements of every eLearning course. Summaries kick things off by telling online learners what to anticipate from the course, while recaps repeat what has been studied, in brief, to facilitate knowledge retention. In the case of eCommerce, these crucial course elements can help you promote your unique selling points and increase sales. As such, you need to come up with creative ways to spice up eLearning course summaries and recaps to make your offerings stand out. Here are some tips to write a summary and recap that is anything but the norm. The goal of summaries and recaps is not to bombard learners with information. The goal is to help them note the sections that they need to pay attention to. When you include too many details, you risk getting repetitive and tedious. When designing eLearning course summaries and recaps, only use content that is beneficial and make it easy to comprehend. Dumping too much information also leads to cognitive overload. It also scares online learners into thinking that the eLearning course is too extensive and beyond their cognitive abilities. In the summary, just explain the learning objectives of the course. In the recap, state the most important information to remember about the eLearning course. Too much text can potentially overload online learners. Again, text will not help all kinds of online learners to absorb the information. But you can use a video to break the monotony and take care of visual and auditory learners. These are especially effective for eLearning course recaps. After studying a whole course featuring text, it is interesting to have the most important elements broken down as video. Videos are not only engaging, but they are also an effective way of sharing tips, insights, and demonstrating procedures. The purpose of eLearning course summaries and recaps is to draw the online learners’ attention and give them a brief overview. What better way to do this than by using fun graphics that prod the online learners to read the eLearning content? Instead of just stating the content of summaries and recaps, use graphics to tell learners why they need this content. This gives them a first-person view of the online training and how it can benefit them on a personal level. On top of that, graphics grab the interest of online learners and enable them to concentrate more effectively throughout the eLearning course. Use avatars, cartoons and real people to guide the online learners through the main course contents. By using these in eLearning course summaries and recaps, you give the course some personality. You also boost engagement and motivate online learners by offering that extra source of support. 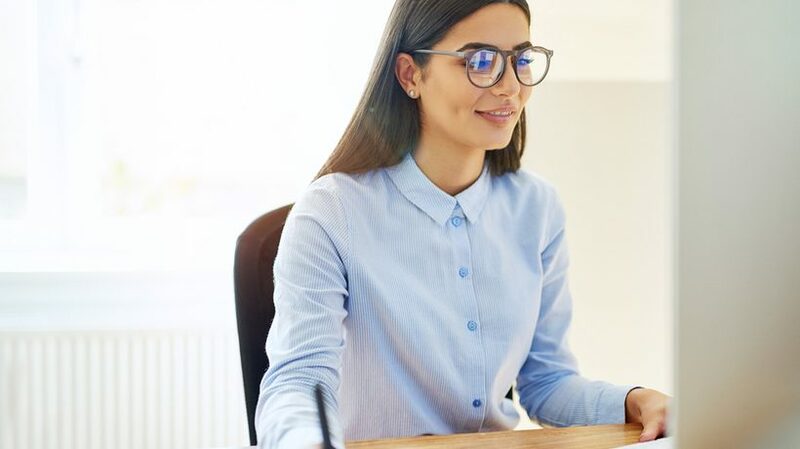 Personalities make eLearning course summaries appealing and prompt learners to continue on, even if the online training activities are challenging or complex. As earlier mentioned, plain text can get very monotonous and prevent online learners from connecting with the content. Since eLearning course summaries and recaps are meant to simplify the course, use varying formats. For example, instead of just conveying facts and figures in a bullet list recap, why don’t you simplify them using charts and graphs? Infographics and powerful images will help you get the message across while improving memory retention. Reward online learners for a job well done by including subtle touches of humor in your eLearning course recap. It can be something as simple as a joke, as long as it’s suitable for your audience, or a relevant comic strip. Such as a cartoon that illustrates the subject matter in a satirical light. Memes are also extremely popular especially with the younger crowd. They are not only humorous, but they make your eLearning course content memorable. Templates allow you to present information in smaller chunks that are easy to digest. Plus, you can use them time and again to stick to the same format and improve the cohesiveness of your design. Templates also look neat and organized, which makes it more likely that online learners will actually read the eLearning course summaries and recaps. Remember, these course elements aren’t supposed to contain too many details. Using templates enables you to limit eLearning content and filter out unnecessary info. You can also add bullet points combined with images to make complex tasks or processes easier to comprehend. Instead of a straightforward summary that emphasizes the benefits of the course, let online learners experience it for themselves. Invite them to participate in a scenario or simulation that gives them a sneak preview of the subject matter. For example, your sales skills course starts with a negotiation simulation that tests their preexisting knowledge. This highlights personal areas for improvement and stresses the importance of active participation. Online learners are aware that they need to work on certain aspects of their skill mastery. Thus, they are more likely to engage with the eLearning content to get the most benefit. The same goes for recaps. Except, in this case, it tests how much they learned during the eLearning course and points out gaps they still need to focus on. Regardless of which route you take to create winning course recaps and summaries, always follow the golden rule of eLearning design: know your audience. Conduct surveys and analyze LMS reports to learn as much as you can about their backgrounds. As well as what they need to know before commencing the eLearning course. For example, do you need to briefly refresh their memory regarding subject matter you covered in a previous course? Do you need to focus on real-world applications to increase their motivation? What are your online learners looking for in the ideal course, and how can you sum up the takeaways to ease knowledge assimilation? Are you ready to sell your online course and need to gain maximum exposure? Read the article on 7 Ways To Find The Ideal eLearning Marketplace To Sell Your Online Training Courses to discover how to find the ideal eLearning marketplace to sell your high-quality courses.